LaLicious is an American brand 0f all-natural, high-end bath and body product collection that started with the creation of a revolutionary update to the body scrub. The LaLicious line of products, including their famous body oil and luxurious whipped body soap, will awaken your senses and give you the ultimate home spa experience, leaving your skin silky smooth with a lingering scent that will stay with you long after your shower is over. The LaLiciou Extraordinary Whipped Sugar Scrub sets itself apart from every other scrub on the market with a texture and consistency that is impossible to copy - although many have tried! The LaLicious proprietary technique and ingredients give the body scrub a light, whipped texture that never separates which makes for a hassle-free, and enjoyable application. The fine sugar crystals are gentle enough for daily exfoliation and but effective at sloughing dead skin cells without scratching or stinging. LaLicious satisfies those cravings of natural and sumptuous with a line of luxuriously rich skin care products that soothe, smooth, exfoliate, hydrate and pamper. Each paraben-free and divinely scented formula blends pure oils and butters for a relaxing spa-like experience. Jessica Kernochan began experimenting with natural, DIY beauty as a hobby. 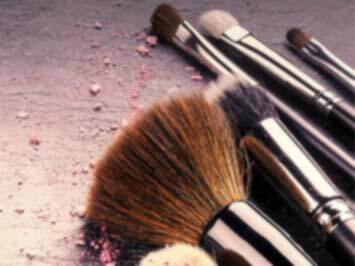 It wasn’t until the products started gaining popularity amongst her friends that she decided to dive into the beauty industry. Kernochan’s bath and body company, LALICIOUS, was founded in 2002 and now features a wide range of body scrubs, lotions, oils and lip butters made from only the best ingredients. See what this entrepreneur and mom of two totes have done for the beauty world. Experience a body treatment like no other with LaLicious. Their famous scrubs, butters, oils, and soaps are available in eight scrumptious scents including the famous, best-selling Brown Sugar & Vanilla line. They use the most natural ingredients available including soothing and conditioning oils such as almond oil, coconut oil, and vitamin E oil and all LaLicious products are proud to be free of paraben preservatives and also sulfate detergents. Get ready to experience the ultimate in luxury bath and body products! Remember, all of their customers receive a sample with every order. Be sure to check their our latest sugary scent: Sugar Kiss! LaLicious started out as a labor of love, and that carries through to today. They make sure every little detail is perfect and they still produce their signature Sugar Scrubs by hand, and put the labels on jars and fill them themselves. Check out their products on their website and benefit of free shipping on any order over 100$ and get free samples with every purchase. Do you want to receive more deals from LaLicious by email?